Rookie players may be thrown off, but Codemasters once again comes through with (mostly) driving grace. When GRiD came out for Xbox 360 and PlayStation 3 a few years back, it set an unprecedented new level for driving games. It wasn't a place for rookie drivers who were used to leaning on braking and steering systems to keep them safe – it's a driving game built for speed demons who aren't afraid to get a little dirty heading towards the finish line. Granted, it was very easy to wreck in the game, forcing you to use a rewinding Flashback to get back into the race, but that was just part of the thrill. And I'm happy to report that it's back for GRiD 2 – for better or for worse. Like the original game, GRiD 2 brings a "handle the risk, reap the reward" sort of system. You can easily flip your car making a mistake, or find yourself spinning out because the opponents, overly aggressive here, don't feel like letting you take the lead. 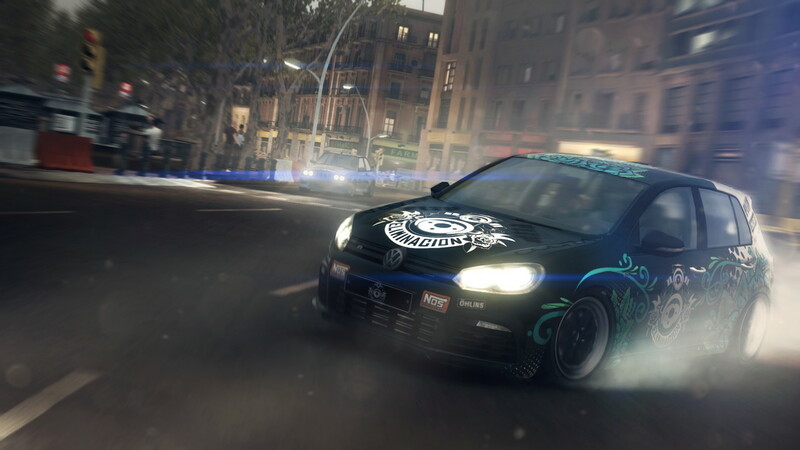 But if you can manage to muster the right amount of skill – and aren't afraid to get a little shoving going on – you'll find plenty of opportunity to win here, and excel in the game's fictional World Series Racing league. You're signed on by a proud promoter at the beginning, who has confidence in you and helps you to sign new sponsors, thus unlocking new cars and parts that can assist in keeping up your performance. From there, you'll take part in a number of circuit events, ranging from elimination to one-on-one Faceoffs, and work your way up in the world ranks. Iconic cars and release date confirmed.